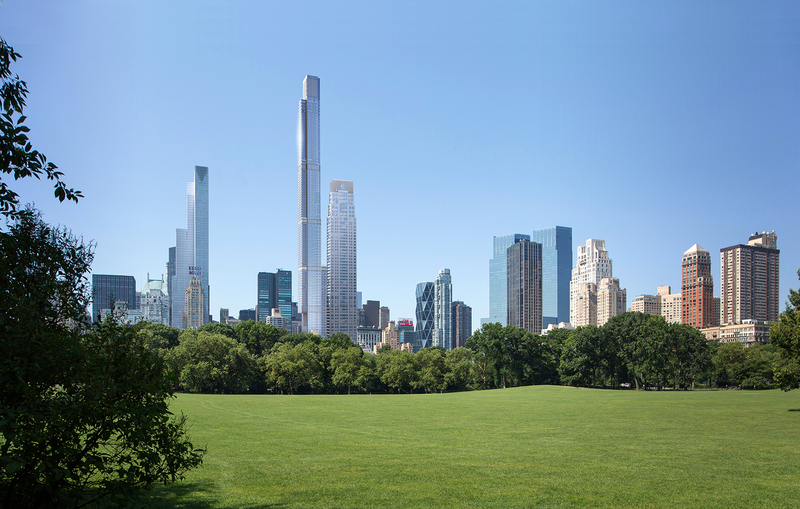 A new skyscraper looms over Central Park in Manhattan, towering above all the others, though at its current height of 1,100 feet, it’s not even finished. 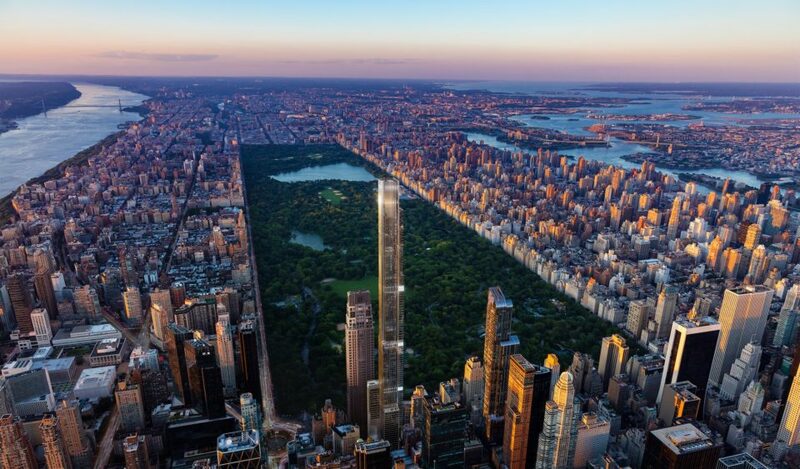 Not only is ‘Central Park Tower’ by Adrian Smith + Gordon Gill Architecture an unmissable landmark for New York City, it’ll officially nab the title of world’s tallest residential building once it reaches its full 1,550 feet (472 meters.) 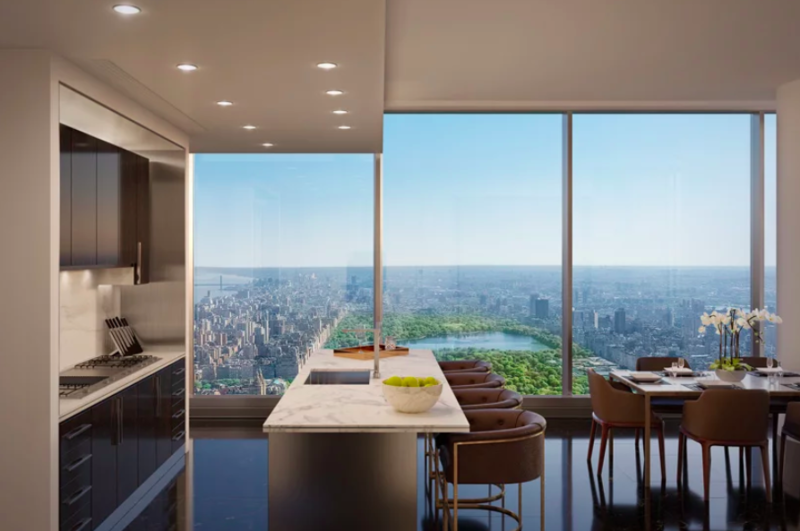 Located on West 57th Street, also known as ‘Billionaire’s Row,’ it’s basically an unapologetic bonanza of luxury amenities for uber-wealthy occupants. The tower has been under construction for five years, but few details have been provided about exactly what it would offer. 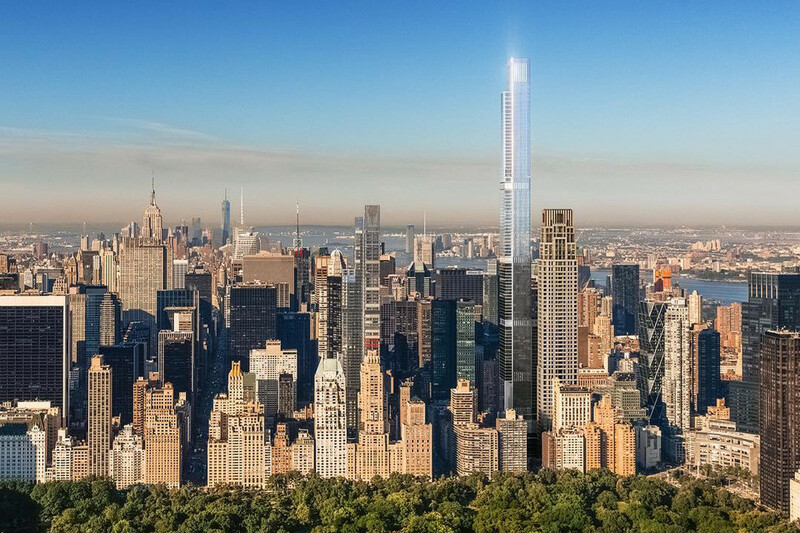 Now that its 179 units are officially up for sale – including condominiums that are expected to go for upwards of $60 million each, as well as a $95 million unit on the 53rd floor – new information and renderings have been released. 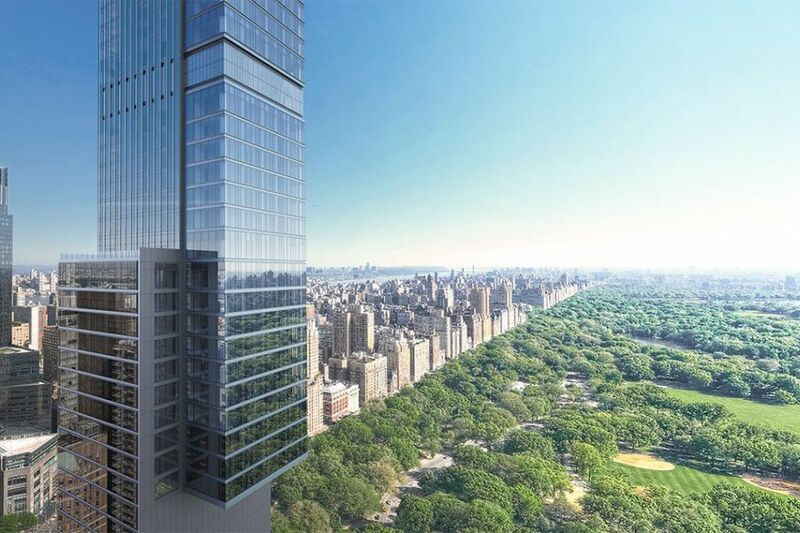 The first seven floors of the Central Park Tower will host a massive flagship Nordstrom’s. 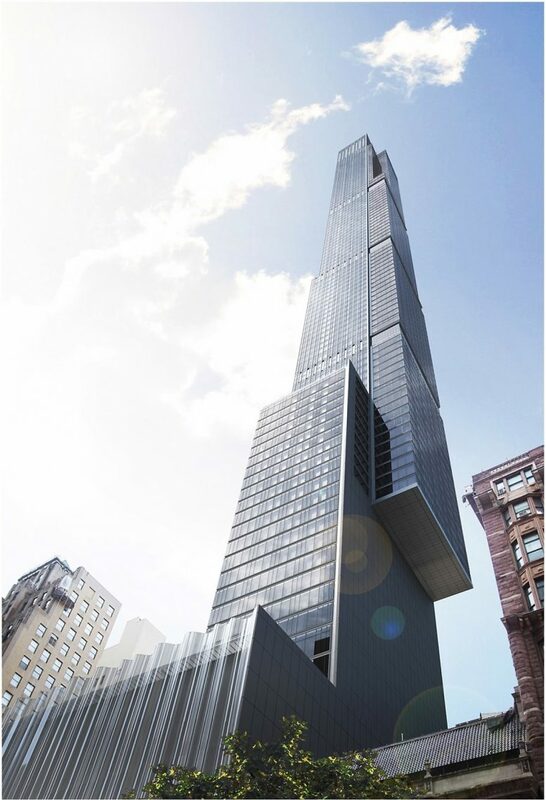 Three hundred feet above street level, the tower cantilevers slightly to the east to give its residents better views of the park. The building’s 179 residences range from two to eight bedrooms, measuring between 1,435 and 17,500 square feet. Each one enjoys a wide open floor plan with interiors designed by Rottet Studio; the tower’s structural elements are concealed in between the units. And then there are all the luxuries you’d expect from such an expensive tower. Residents will enjoy over 50,000 square feet of communal spaces spread out across three floors, starting with the lounge and an outdoor terrace featuring a 60-foot swimming pool, bar, screening wall, children’s playground, cabanas and more on the 14th floor. There’s also a health and wellness center incorporating an indoor swimming pool, sauna, basketball court, steam rooms, treatment rooms, a squash court and a fitness center. The same firm is responsible for Saudi Arabia’s ‘Jeddah Tower,’ currently under construction, which will be the world’s second tallest building once complete.